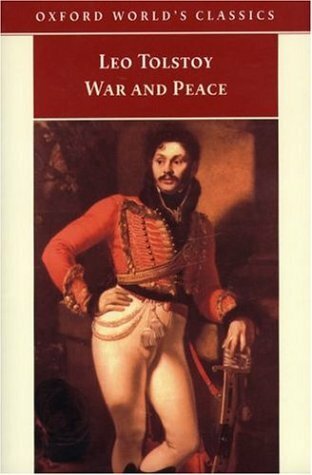 The status of War and Peace as a book which is often referred to but rarely read encouraged me to attempt to scale its literary mountain. I wanted to see if it really does deserve to be a book that everyone feels they should read but know it’s unlikely they ever will. It is historical fiction which cannot be sniffed at, a romance which cannot be patronised and a roadtrip which will not be undermined. Following a large range of characters during the French invasion of Russia in the early 1800s War and Peace explores the impact of this disruption on a cross section of Russian society. Without a doubt the characters of War and Peace are some of the strongest and believable that I have read recently. Their mistakes reverberate through the book but they also adapt in response to these changing environments. The growth of Prince Andrew’s cynicism as he meets challenges and disappointments seemed sadly inevitable even as I watched his youthful potential being wasted. Obviously the length of the book allows for elaborate development of each character and their relationship so that even secondary characters are given depth in social situations. Tolstoy also based many of the characters on information he found in the letters and diaries from members of his family and their social circle. I must admit that while the book is called War and Peace I definitely enjoyed the ‘Peace’ sections more. There was more scope for the characters to interact and the plot develop while the ‘War’ sections had to focus on describing military tactics and explaining the positions of the armies. While this was obviously necessary to detail Napoleon’s progress into Russia I found the intricate detail boring. However, as I have heard that the fighting episodes are considered some of the finest bits of writing I suppose it could be down to preference. Nevertheless the characters who I was most interested in; Natasha, Pierre and Mary, were rarely in a war zone so would be absent for long periods during a ‘War’ narrative. As ever when reading a novel in translation I was aware of the additional barrier to my understanding. Not only is the book originally in Russian but it also contains long passages in French due to the Russian upper classes traditionally speaking in French. While the copy I read attempted to keep these nuances by retaining the French passages and translating them in the footnotes I feel there were situations where the use of a particular language or dialect still passed me by. There were also long passages meditating on how to live and what it could mean. These are obviously difficult to translate and I would be interested in reading other versions to compare. 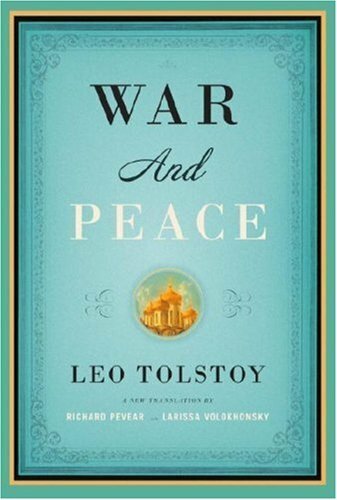 Although I do not plan to immediately reread War and Peace I expect it is a book which is rewarding to return to. I found the expansive vision of Russia during its wars with Napoleon fascinating, partly because I previously knew so little about the book or the period. However, if you do not enjoy very large casts of characters and a carefully developed and meandering plot then it is probably not for you!